Youseph Tanha is not only a Transformers fan, but also a comic book lover who has a thing for Tesla. He co-hosts a podcast called Transmissions. 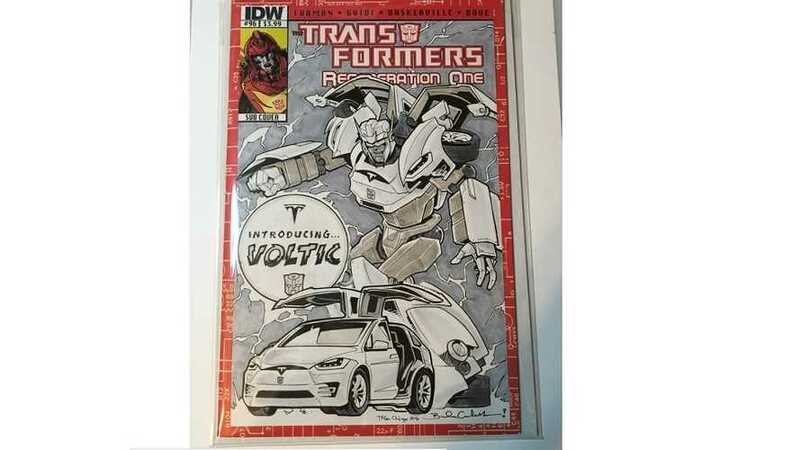 Recently, Tanha created a Tesla Model X Transformer named "Voltic", complete with its own comic book. Voltic has the ability to shoot Falcon Wing missiles, and of course change between a robot and a Model X.
I’m an old school G1 Transformers fan. 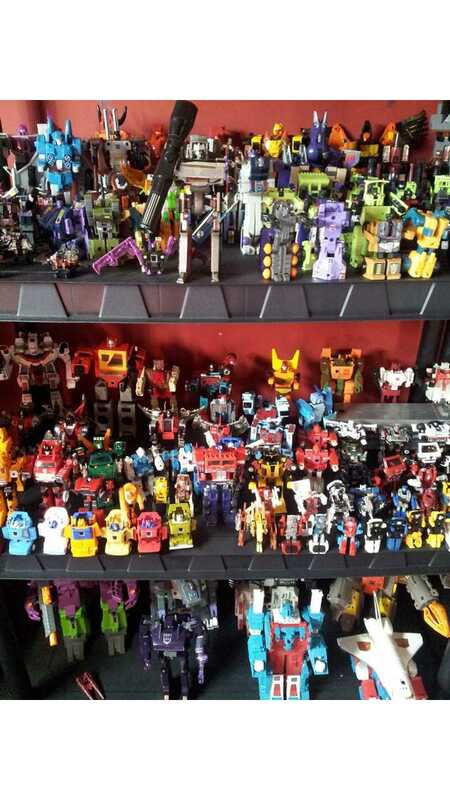 (G1 is how a person refers to the original Transformers toys, cartoon, animated movie, and comic books of the 80s.) I believe it was in 2002 that comic book companies started to experiment with releasing comic books with blank covers, (also known as sketch covers). The idea being that comic book fans would buy these blank comics and take them to comic convention where comic artists would do up a sketch for them for a fee. For over a year, Tanha searched for an artist that could make his dream a reality. He eventually found an artist, by the name of Brendan Cahill, that impressed him. Tanha emailed Cahill and then ended up being able to meet him at TFCon (Transformer Convention) in Chicago. The rest is history. Another interesting fact is that the name Voltic came from the Grand Theft Auto 5 video game. Apparently, the game has a Tesla Motors parody, called "Coil". Coil's car is a Voltic. Unfortunately, as far as Tanha understands, the Tesla transformer will never be published or used. Likely, IDW Publishing would need Tesla's permission, and would have to purchase the artwork and story from Tanha and Cahill. It's all pretty cool nonetheless. 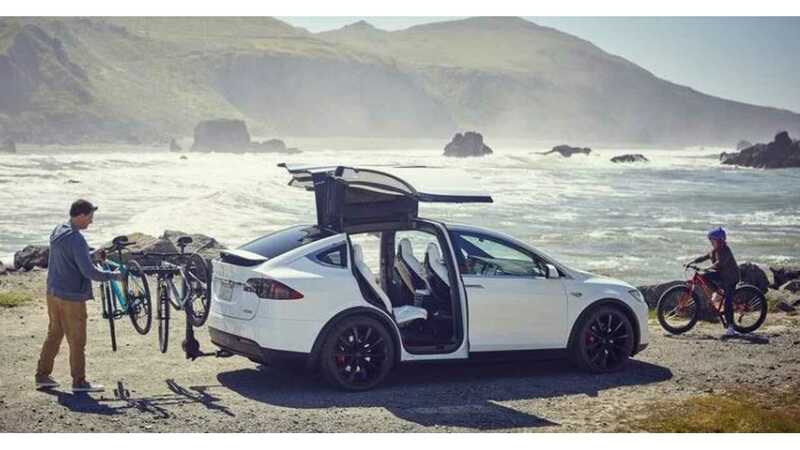 Check out the complete story behind the rendering at Teslarati.